This Alphabetical Enlightenment List can help you find your faves! Alphabetical Enlightenment List? This blog post can make it easier for you to locate which people have landed on my regular blog post about listing people in Enlightenment. 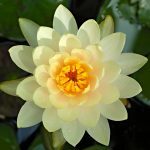 Spiritual awakening — this strongly interests many who lurk at this blog. No wonder the most popular post here is our Enlightenment Life List. Over the years, it seemed smart to create an Alphabetical Enlightenment List, too. Because that main Enlightenment Life List has grown, and continues to grow, through your nominations of candidates. There I supply a free aura reading service to evaluate whether candidates you have named belong on that list. Assisting you as a New Age Consumer. Many healers and teachers who claim to be spiritually Enlightened may not be. They could be fabulous healers and teachers anyway. But wouldn’t you like to be able to sort all this out for yourself? Crossing the threshold into spiritual Enlightenment is not the end of a story but the start of a new story. Yet surely this milestone of awakening is worth celebrating. On the day we reached #10 with the list of community members who have moved into Enlightenment, boing! I got it. Why not note this onto this post? So here we go, from now on. If you have candidates, feel free to nominate them, following the guidelines at that original Enlightenment Life List post. Curious about how I could use energetic literacy to make such a list? Wondering what chakra databanks have to do with it? This post should help: Enlightenment Profiling, using aura reading and empath merge. As you may know, this personal list about the Enlightened flows from my work in Rosetree Energy Spirituality and also the skill sets of Deeper Perception that I teach. I do hope this Enlightement project helps you along your personal path to Enlightenment. Got inspiration? If you could use more, you might want to check out these folks from our Enlightenment Life List. Photo links are available from Google Images. Even better, find the links from the original list. Because many of the people on our list now wouldn’t have made it years before the nominating image. Besides including photo links whenever possible, the original post with the Enlightenment Life List contains a chronological numbered list. This alphabetical list is first-name first, and can help you check on people you think might belong on such a list. Amanda is a member of our RES Energy Spirituality Community who has moved into Enlightenment. Anita Chu, Dr. is a member of our RES Energy Spirituality Community who has moved into Enlightenment. Brittany Black is a member of our RES Energy Spirituality Community who has moved into Enlightenment. Bryan Patrick is a member of our RES Energy Spirituality Community who has moved into Enlightenment. Cameron from England is a member of our Rosetree Energy Spirituality Community who has moved into Enlightenment. Charles from America is a member of our Rosetree Energy Spirituality Community who has moved into Enlightenment. Christine from England is a member of our Rosetree Energy Spirituality Community who has moved into Enlightenment. Computer Guy Joe is a member of our RES Energy Spirituality Community who has moved into Enlightenment. D.G. from India is a member of our RES community who has moved into Enlightenment. 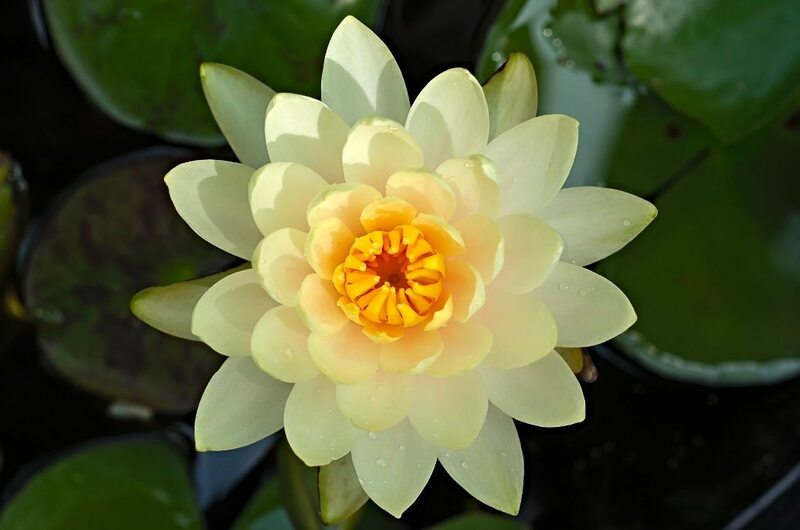 Elaine W. is a member of our Rosetree Energy Spirituality Community who has moved into Enlightenment. Emily Turner, from England, is a member of our Rosetree Energy Spirituality Community who has moved into Enlightenment. Enginer Jesse is a member of our Rosetree Energy Spirituality Community who has moved into Enlightenment. Erica K. is a member of our Rosetree Energy Spirituality Community who has moved into Enlightenment. Eve is a member of our Rosetree Energy Spirituality Community who has moved into Enlightenment. Evgenia Brodyagina is a member of our Rosetree Energy Spirituality Community who has moved into Enlightenment. Explorer is a member of our Rosetree Energy Spirituality Community who has moved into Enlightenment. Gabrielle is a member of our Rosetree Energy Spirituality Community who has moved into Enlightenment. Gladys is a member of our Rosetree Energy Spirituality Community who has moved into Enlightenment. Holly is, of course, a member of our Rosetree Energy Spirituality Community who has moved into Enlightenment. Isabella Cates is a Graduate of the Mentoring Program in Rosetree Energy Spirituality and the first Graduate of the Mentoring Program in Soul Energy Awakening Hypnosis®. She is, of course, a member of our RES Energy Spirituality Community who has moved into Enlightenment. Jean, from America is a member of our Rosetree Energy Spirituality Community who has moved into Enlightenment. Jennifer Sirrine is a member of our Rosetree Energy Spirituality Community who has moved into Enlightenment. Jill Erin Mabie is a member of our Rosetree Energy Spirituality Community who has moved into Enlightenment. Julie Blake Edison was the first member of our Rosetree Energy Spirituality community to move into Enlightenment. Kathleen from Australia is a member of our Rosetree Energy Spirituality Community who has moved into Enlightenment. Kylie Sparks is a member of our Rosetree Energy Spirituality Community who has moved into Enlightenment. Lara, from England, is a member of our Rosetree Energy Spirituality Community who has moved into Enlightenment. Leo Watts is an RES Apprentice who has moved into Enlightenment. Liane is a member of our Rosetree Energy Spirituality Community who has moved into Enlightenment. Lindsey is a member of our Rosetree Energy Spirituality Community who has moved into Enlightenment. “Mr. Anonymous,” is a member of our Rosetree Energy Spirituality Community who has moved into Enlightenment. Paula Lawley is a member of our Rosetree Energy Spirituality Community who has moved into Enlightenment. Pediatrician Katie is a member of our Rosetree Energy Spirituality Community who has moved into Enlightenment. Romana DeBeer is a member of our Rosetree Energy Spirituality Community who has moved into Enlightenment. Rose Rosetree is a member of our Rosetree Energy Spirituality Community who has moved into Enlightenment. Sandra Haering is a Graduate of the Mentoring Program in Rosetree Energy Spirituality. She has moved into Enlightenment. Stephanie Thomas is a member of our Rosetree Energy Spirituality Community who has moved into Enlightenment. is a member of our Rosetree Energy Spirituality Community who has moved into Enlightenment. Theodore Scott is a member of our Rosetree Energy Spirituality Community who has moved into Enlightenment. Zounds! The very controversial Alan Watts has been moved to the end. I don’t want him to be the very first name you readers see. If you have made it all the way through to the end of this list, you may also have the patience to read comments about why he is controversial over at the main post with the Enlightenment Life List. Note: Even in Enlightenment a person can lose human balance and can inadvertently slip into Spiritual Addiction, or the extreme version of that. When I find that sort of thing, according to my aura reading research, with great regret, I remove that person’s name from this list and also the main list at my blog. However, I still keep that individual on my list of nominees — the list I hope that all of you will consult before making further nominations. Just Rose Rosetree’s point of view. This is my personal Enlightenment Life List, after all. Rose, just reading the names here makes me smile! Buckminster Fuller, indeed! He then subsequently donated 99% of his fortune (the fortune that would normally be inherited by his various family members) to charity. How do explain these as the actions of an enlightened person? And after seeing your reading about Nicky Hilton and making no mention of the allegations that Elizabeth Taylor herself made about him beating her, I’m seriously questioning the energetic literacy your promoting. And I’m only pointing any of this out because I do want to believe in your abilities and I do find this site immensely interesting. So would you please explain? M, Incidents of domestic abuse wouldn’t be recorded as such, you also cannot read people’s thoughts from their aura. In general, D., Enlightened people co-create with the Divine. It could be called “Conscious channeling” in contrast to the “Trance channeling” done with spirits. Working in alignment with mega-high-vibrational beings can be done by Enlightened beings, or even people who are not yet Enlightened but very, very evolved. Think of Mozart, for instance. At this time, since The Shift into this Age of Energy, I do not recommend working with channelers. Note about David Buckland, on this list. However, he later made choices that — according to my research –caused him to trade Traditional Enlightenment for Extreme Spiritual Addiction. Hence, with great personal regret, I’ve removed him from my Enlightenment List. For your list, uou might like to consider Dave Oshana who has been quietly bringing seekers to greater awareness for 15 years. Thanks! As a point of information, this is my private blog. I do not run a resource, like Lands End, where consumers write reviews. This is my personal blog. I, Rose, am interested in contributions by Blog-Buddies who bother to become familiar with my blog. As for insults, you can take them elsewhere. Nobody compels you to read my blog. Perhaps you might come back and comment when you are able to understand it. Otherwise, for civility’s sake, go elsewhere.